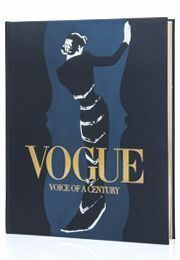 Sunday 18th September saw the toast of the fashion world celebrate the launch of VOGUE - VOICE OF A CENTURY at a cocktail party hosted by Alexandra Shulman at 5 Hertford Street, London. Many of the book's 100 contributors attended and were delighted to see their words or images in the book for the first time, including Victoria Beckham, Jourdan Dunn, Mario Testino, Twiggy and Matthew Williamson. Other contributors such as Clive Arrowsmith, Mary Greenwell, Sarah Harris, Jill Kennington and Sam McKnight kindly autographed signature sheets - each copy will contain the signatures of eight contributors.